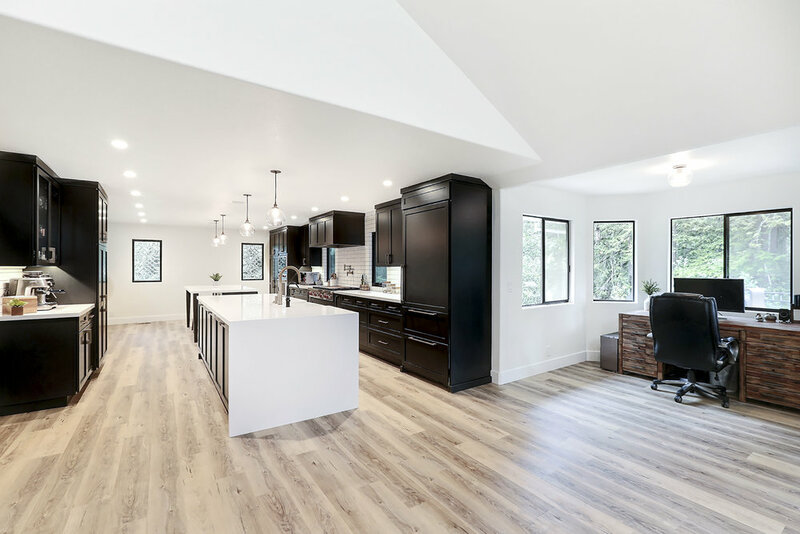 This beautiful split level home had plenty of square footage to work with and the kitchen was already centrally located between a large formal dining room and a disproportionately small family room area. A few steps below the main living level was a big, open great room, but it didn’t have any sight lines to the kitchen, so it felt disconnected from the areas where the family spent the most time. 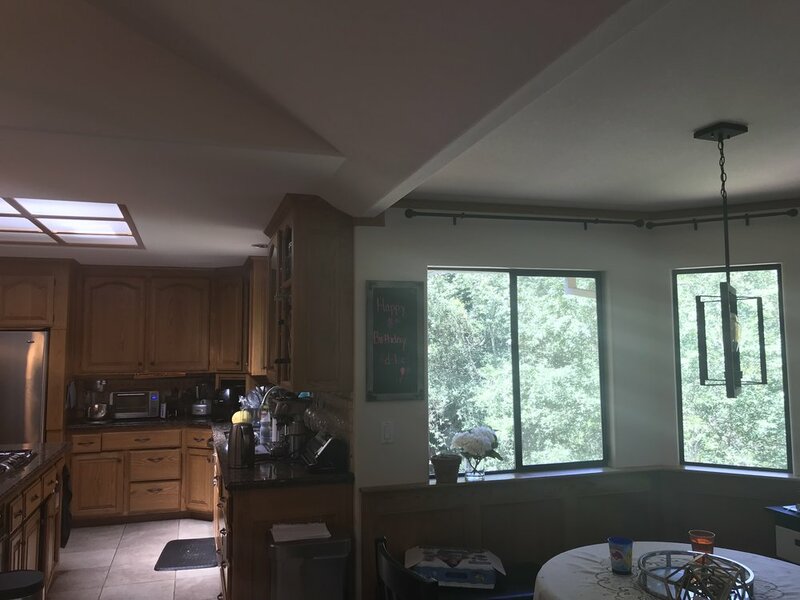 In order to create the large, open kitchen the family desired, we removed the wall between the dining room and kitchen and relocated the dining room to the small family room area. With these changes, the kitchen doubled in size and now has sight lines to the lower great room. In addition to doubling the size of the kitchen, we created two islands - an eating/entertaining island and a prep/cooking island, and we created a sweet little coffee bar next to the new pantry cabinet. We moved the sink to the island and changed the size and location of the windows on the exterior wall so they frame the new range top and hood. 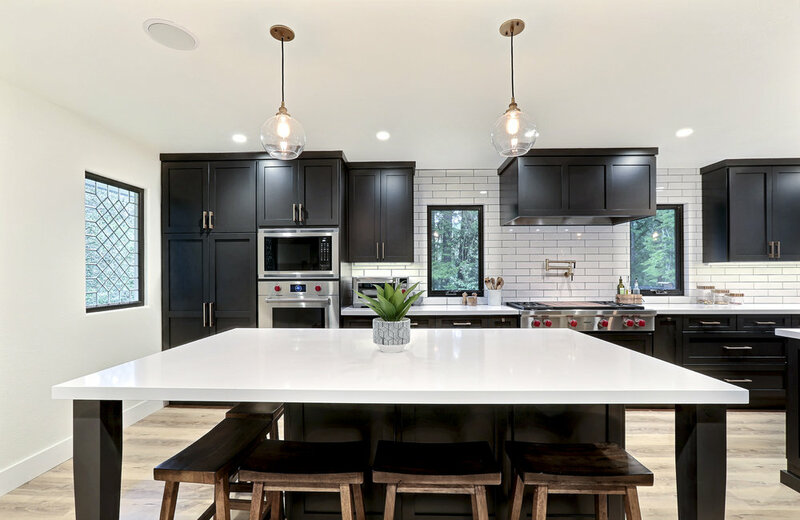 Subway tiles were mitered to create a seamless wrap into the window, and new luxury vinyl flooring set a calm backdrop for the stunning high contrast of the black cabinets and white quartz countertops. 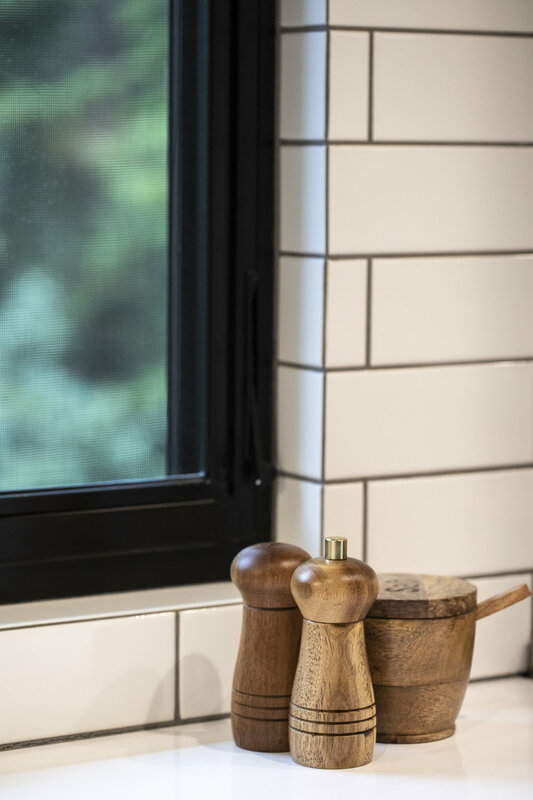 Check out more photos of this Larger Than Life Kitchen!